Our technicians are available 24-hours a day, 7-days a week. We are even available on weekends and holidays. 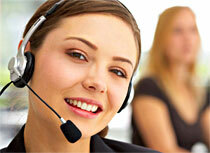 Give us a call at your earliest convenience so that we may better serve you. We carry many parts you may need to repair your doors. Please see below for a link to see other parts we carry. AMPM Door Service has a wide-range of commercial garage doors, jackshaft operators, fire rated doors, storefront doors, door hardware such as door closers, locks and hinges, We also replace glass on any storefront door. If you have a broken door AMPM door service is available to you to repair your door 24-hours a day, 7-days a week. Our technicians provide reliable emergency door repair service all year round, including holidays, whether day or night. We also provide emergency board-up service, meaning your doors will be secured until the door repair is completed. We are continually servicing new areas so even if your area isn’t listed, Please give us a call to see if we are servicing your area. Fill in the request we have above, or call our office and request for a technician to come out and help you with your door needs. Click Here for a complete list of parts we carry. Click Here to see a list of all areas we service.